From an early age I have been fascinated with colour and light . As a child I would sit for hours and gaze at the sunsets from my grandma's back garden. Her house overlooked a wood that we named "the water woods" and gazing at those skies over the woods at dusk filled me with joy, longing and a sense of infinite space. Working with glass brings those same qualities and I strive to capture that etherial light in my work. Stained glass is a process that begins with an idea. The idea becomes a painting and the painting is taken through many stages to become a stained glass panel. 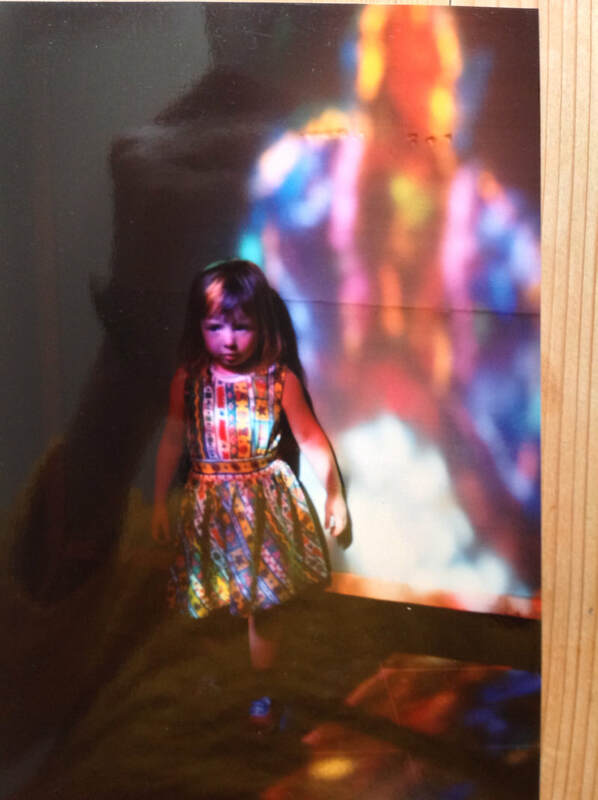 ​The studio is named after my daughter Hannah pictured here in a church in France.